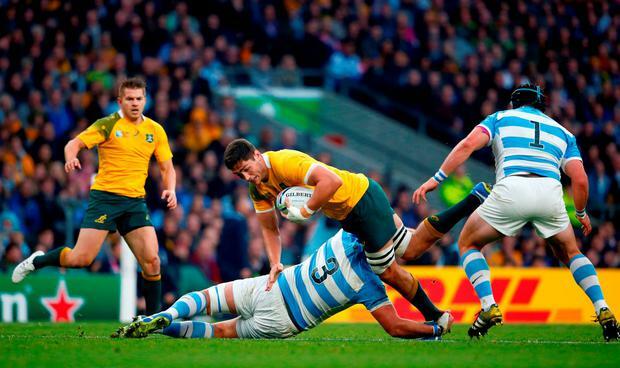 Australia are in cruise control against Argentina in the second semi-final of the 2015 rugby World Cup. Watch all the exclusive in-play highlights right here. We are down to the penultimate match in the 2015 Rugby World Cup. It's South Africa against Argentina in the third and fourth place play-off and you can watch all the exclusive in-match highlights right here. Scotland are in action against Australia in the second quarter-final of the day. Watch all the tries and highlights from the match right here. Tom Rooney George Hook has called Ireland limited and criticised Ian Madigan’s kicking in his analysis of their World Cup quarter final loss to Argentina.